Here's the thing: I’m not a writer. But I’m a reader, and I think that counts for something. I’ve had to figure out the best way to say what I want to say in text format and then actually post it live for others to judge read. When I first started, I would think of a topic, write a crappy first draft, edit it to be a slightly less-crappy second draft, attach an image, and throw it out there— all in the same day. This method is not very efficient or scalable, especially when you need to collaborate with others. My process now is not perfect, and it is personal. Everyone's going to want to use different tools, add other steps to the process, or even take steps away if you don’t want to optimize for SEO or add semi-related stock images. What happens now? I rely on online tools that are accessible from anywhere and I break the giant task of posting an article into smaller chunks scattered throughout several weeks. The first step in publishing blog posts is creating the idea. Ideas for posts come from customer questions, things I see in forums, questions I have myself that I’ve researched, other things that I think people would like to read about, or my long-tail keyword list. My blog covers inbound marketing and HubSpot web design, so anything related to those topics is fair game, though occasionally I’ll add in other things like sales, customer service, and news related to my business. Blog post ideas come at the most random times, often when I’m out and about, so I capture them in an email to myself or add them to a backlog in my project management tool. Usually if I come up with one blog topic, I’ll come up with ten at a time. I try to take these ideas and prioritize them or put them in some order. I’ll write the one at the top of the list first, then work my way down. This way you’re not going to read about advanced concepts before you get the basics down. You won’t read about using your buyer’s personas to create drip campaigns without learning what buyer’s personas are. My backlog is held in Teamwork, my PM tool, but I have some old lists in ToDoist and Trello. At some point I’ll combine all of them but it hasn’t happened, yet. Once I have the chosen topic or working title in mind, I’ll do some research on it. I work through questions someone may have about the specific topic and find 3-5 online articles with more information to use as links in my article and for more references. If I don’t know the answer to a question, such as, what’s the best time to schedule a blog post? I’ll go look that up in several places to give readers the best answer. When finding these articles, it’s best if it’s been posted recently on a reputable site. Articles on website design from 2004 are not going to be very relevant to today’s issues. With a working knowledge of the topic, I can start piecing together how I want to share that knowledge in a post. Sometimes, as I create an outline, I realize the post really needs to be several posts. This is good news— it means I’ll have a series! I love sharing my knowledge and teaching others, from inbound marketing to how to drive a manual car, so I try to convey that in my posts. I said before that I’m not a writer, and that’s because I’ve not had formal training as one, so I may not know about important writing concepts. However, I feel like if you know who you’re trying to talk to, and how they liked to be talked to or how they like to learn from you, then your writing will reflect that. For editing the crappy first draft, I usually read the post out loud or just reread it thoroughly, first looking for spelling mistakes and then for structure. I try to take out as many words as I can and make the post succinct. This is pretty simple...I get the post into my blog tool. In my case it’s HubSpot, which has a nice integration with Google Docs. I can write a post in Docs and then import it as a draft into HubSpot. Then things can be manipulated and edited from there. I usually add some sort of hierarchy to the post beforehand, like H2’s, H3’s, lists and I write TK if I need to add some stats, images, or text at some point before publishing. Why TK? Very few words in English have TK in them, so doing a search for TK before publishing means I’ll find any spot I may have missed to add content. At this point, the post is in HubSpot and I just need to add the final touches before the post is ready for proofing. I use sites like Unsplash to find a featured image, which goes behind the title on the post page, and is also the image shared on social media. Other images get sourced and added where they need to be. I’ll also update the SEO of the post and finalize the post’s title. Every post will have a keyword related to it, and I work to include this in the post’s title, description, and in the post body. If you also use HubSpot, then optimizing the post for SEO is super simple. You put your keyword in and it’ll tell you where to improve. Finally I’ll add a text CTA and image CTA for a related offer to the text and at the end of the post. The text CTA is something I learned from HubSpot. Related offers can be whitepapers or guides I’ve created, or even for my contact page for people to ask me questions. Now that the post is mostly together, I need to have someone other than myself take a gander. I have a VA team that can do this for me (or help me write articles for clients, as well), and they’ll find any spelling issues I’ve missed, or better ways of saying things. When that’s squared away, I schedule the post for the following week. I post on Tuesdays at the moment, but I may opt to change that in the future. With the post created and scheduled, or even published at this point, it needs to be shared with the world. My social media accounts are connected in HubSpot, so when the post is live it’s auto-shared, but I like articles to be shared several times in the future on Twitter and Facebook. Again, I bring in my VA team for this, but sometimes I’ll schedule extra posts myself. HubSpot’s social media tools makes it super easy to organize publishing and see reports of how past posts did. One more thing that I do when I publish new articles is I repost it on various sites. It gets posted on Medium, Linkedin, Inbound.org and the link shared on a few other sites for others to share. I hope this insight into how I get posts out the door is helpful for you, and I’d love to hear about how your process differs, or how you’d like me to help you get the process started. 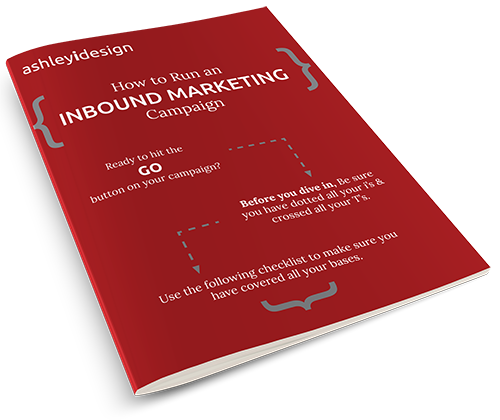 I’m going to insert a CTA at the bottom for my intro to inbound marketing offer, but feel free to use this link to a landing page to get in touch.